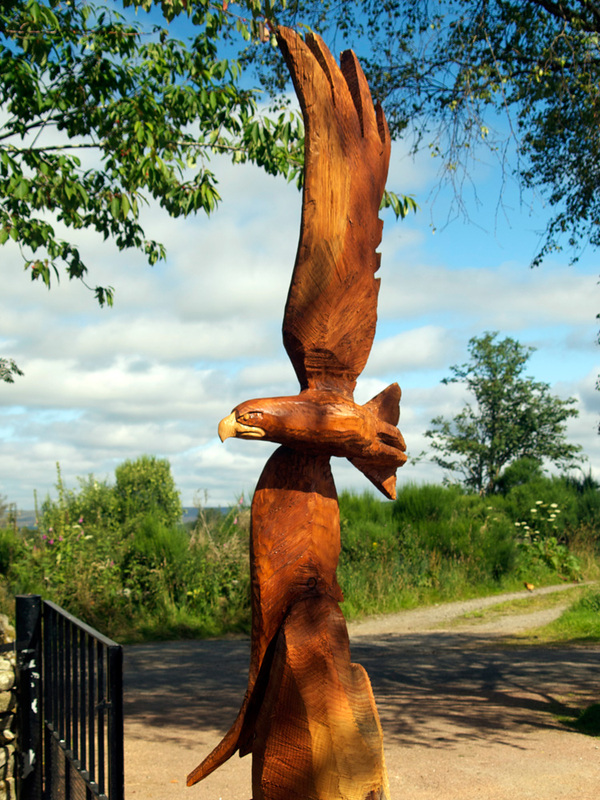 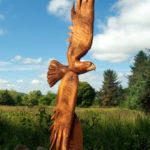 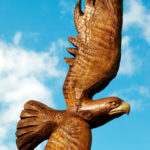 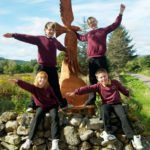 Following a Facebook competition to choose a possible sculpture from a selection of drawings by pupils of the local Primary School, I carved this 8ft tall Golden Eagle in flight. 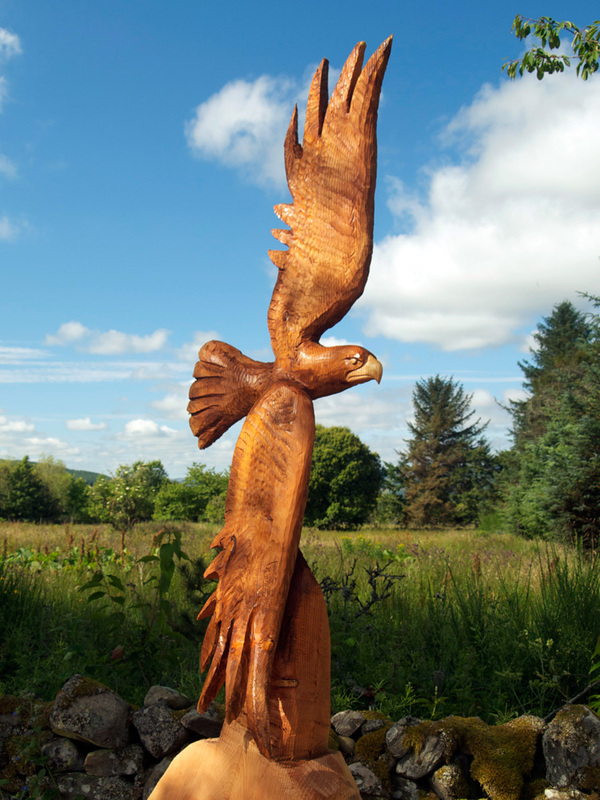 Chainsaw, power tool and chisel carved from a single spruce log. 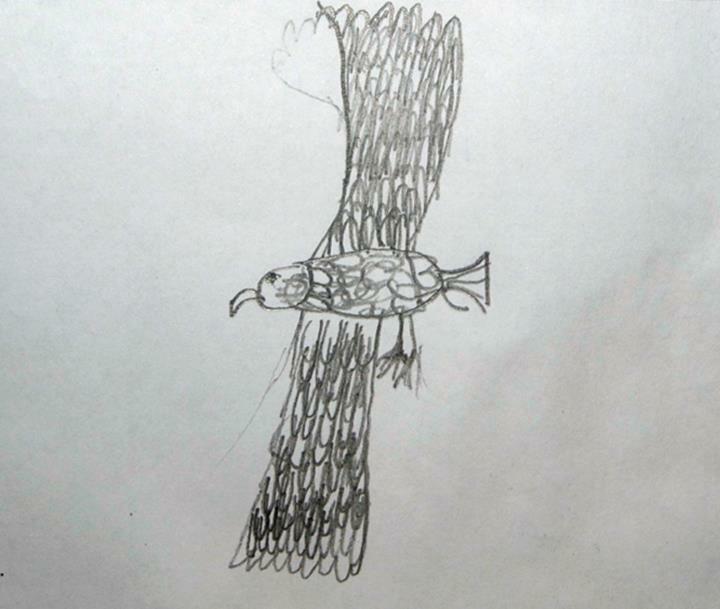 Congratulations to Jenny Duncan for submitting the winning drawing of the golden eagle. 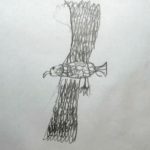 Image shown below. 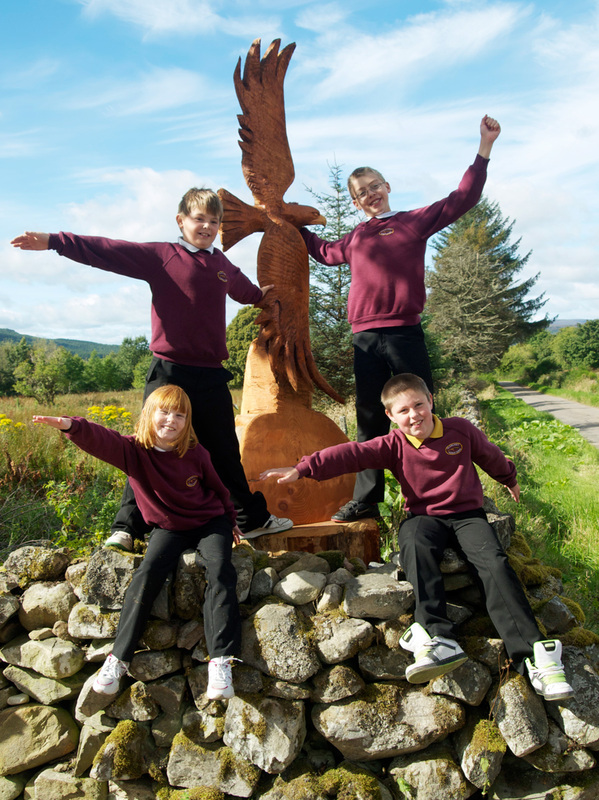 Recently, the headmistress and some of the pupils from the school paid me a visit to inspect the carving and have their photo taken for the local press! 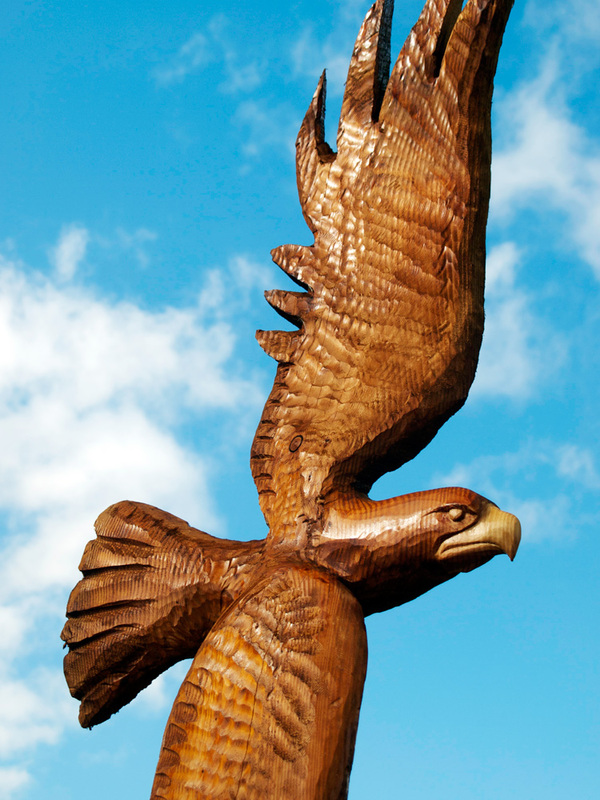 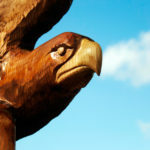 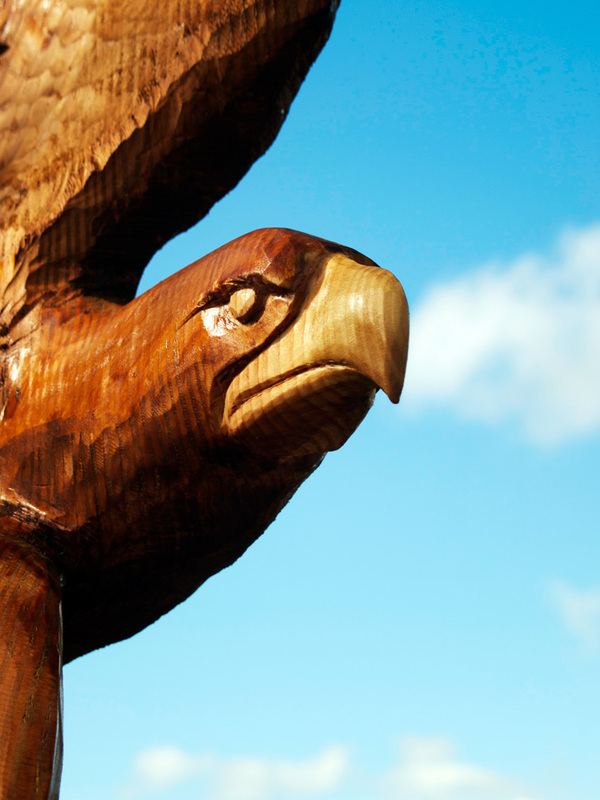 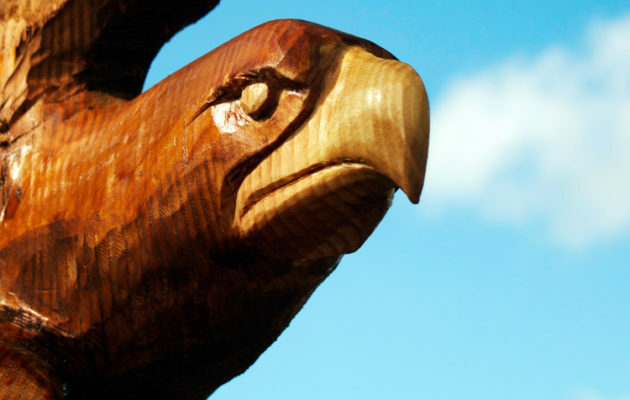 Arrangements are now being made for the eagle to be installed in its new home at the school. 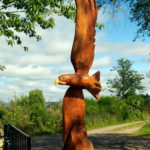 Hopefully we’ll manage before the snows come!